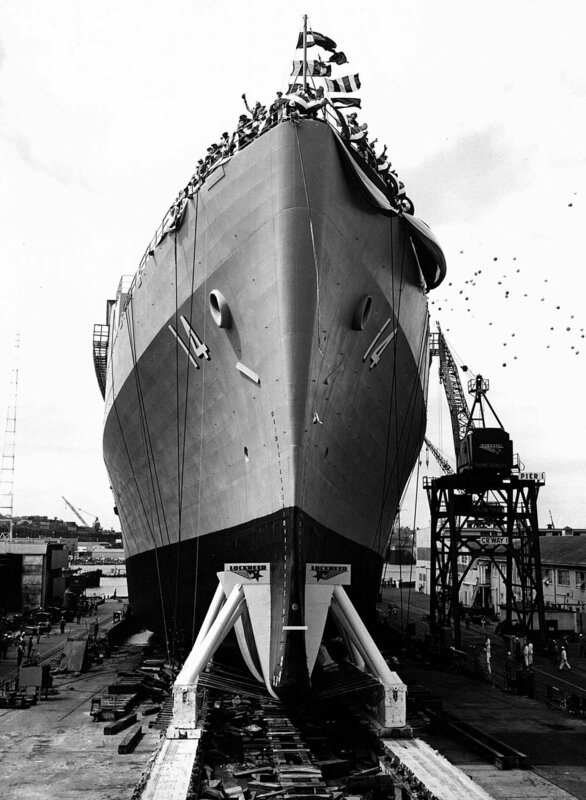 Launched, 3 August 1968, at Lockheed Shipbuilding and Construction, Seattle, WA. 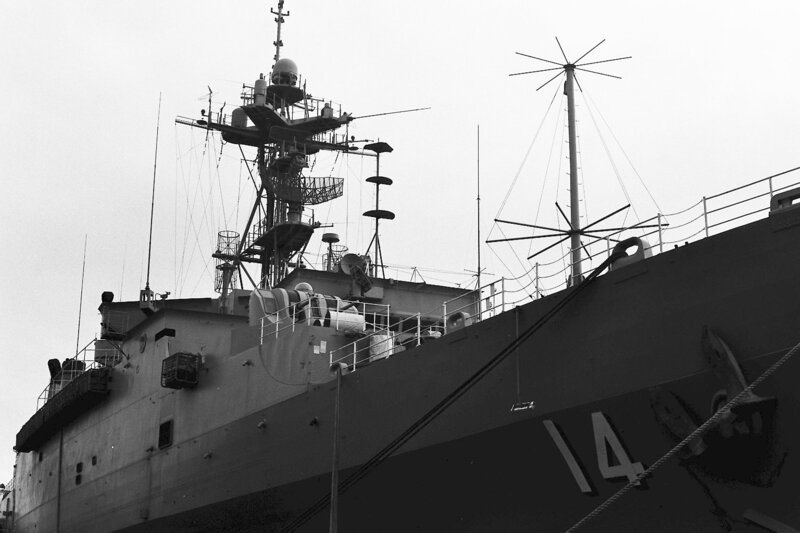 363k Trenton (LPD-14) under way, 18 January 1971, while running builders trials probably in Puget Sound. 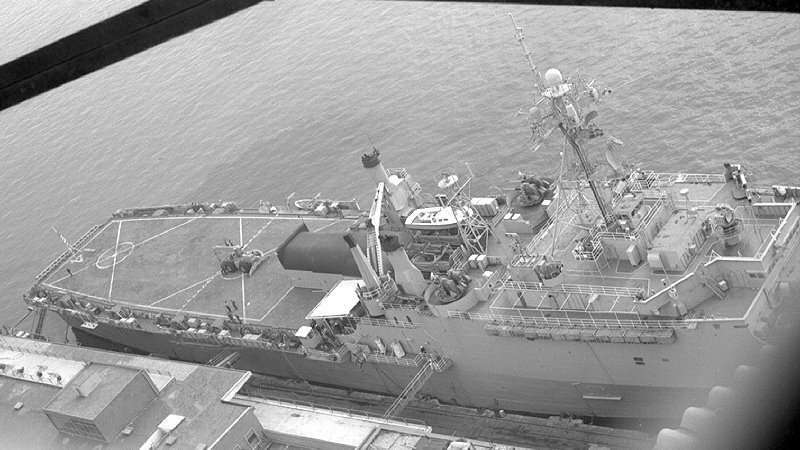 Note the small collapsible hangar extended onto her flight deck. 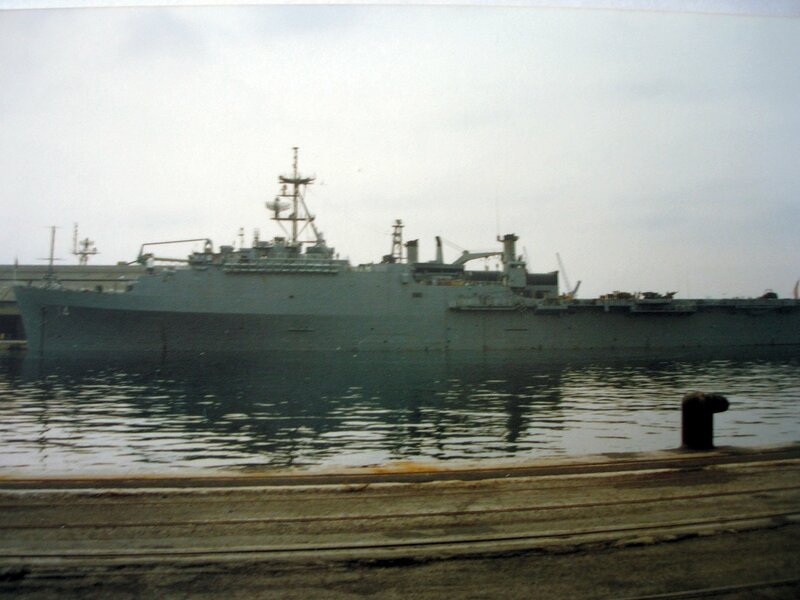 91k USS Trenton (LPD-14) under way, date and location unknown. 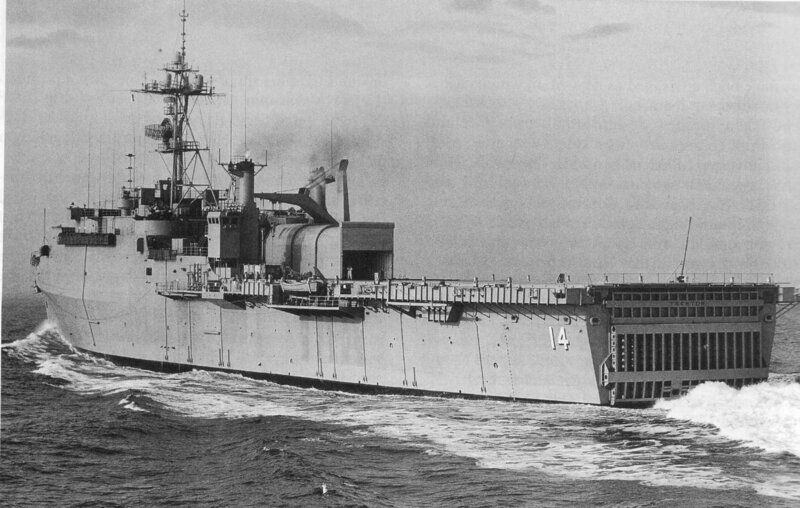 18k USS Trenton (LPD-14) under way, date and location unknown. 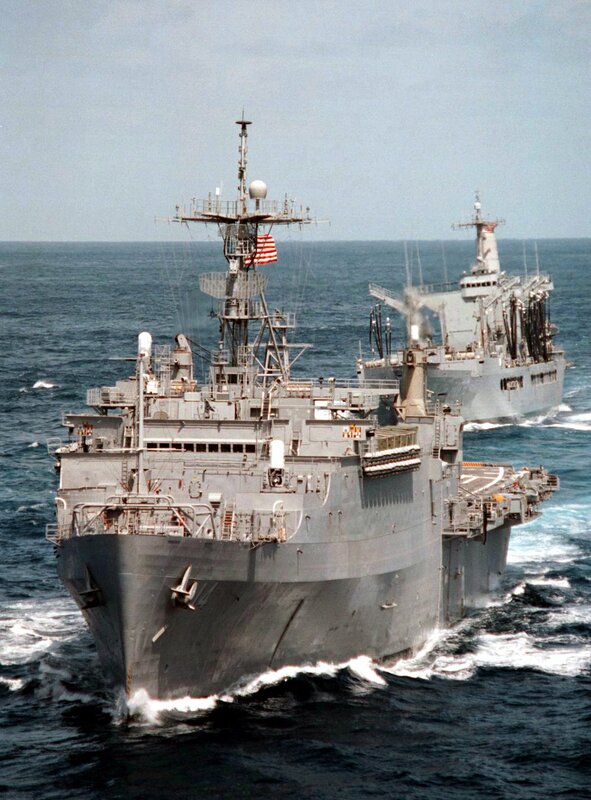 268k USS Trenton (LPD-14) (front) and the fleet oiler USS Merrimack (AO-179) (astern) steaming in formation, 17 July 1996. 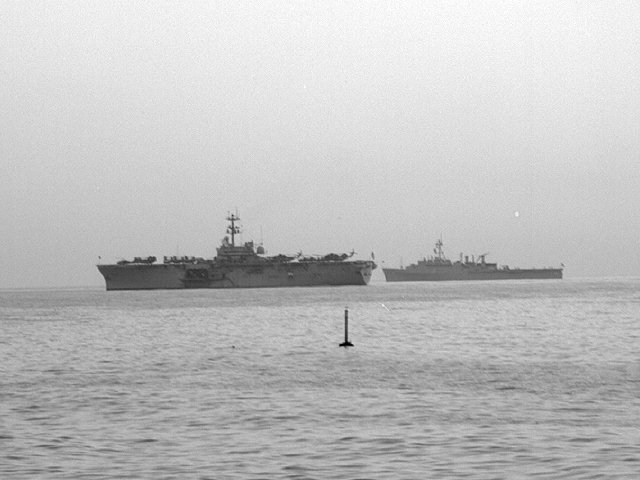 Both ships were part of the George Washington Battle Group. 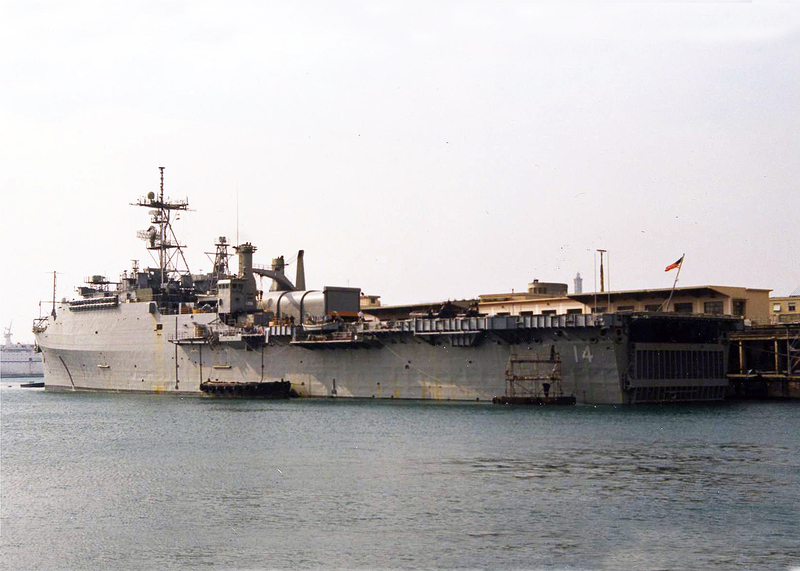 The "GW" battle group returned to homeport 23 July after completing a scheduled six-month deployment to the Mediterranean Sea, which included sustained operations in support of the NATO-led peace keeping in Bosnia and UN sanctions against Iraq in the Arabian Gulf. 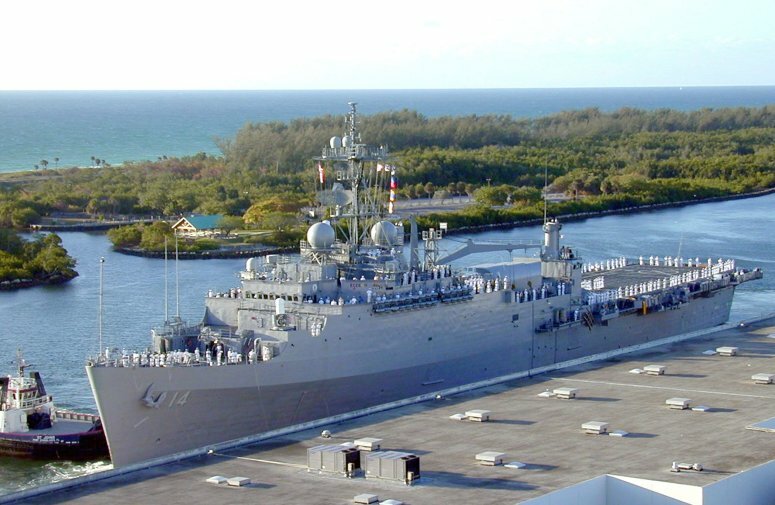 87k USS Trenton (LPD-14)'s crew "man the rail" as a harbor tug pushes them to the pier at Port Everglades, FL,, for Fleet Week 2004, 26 April 2004. 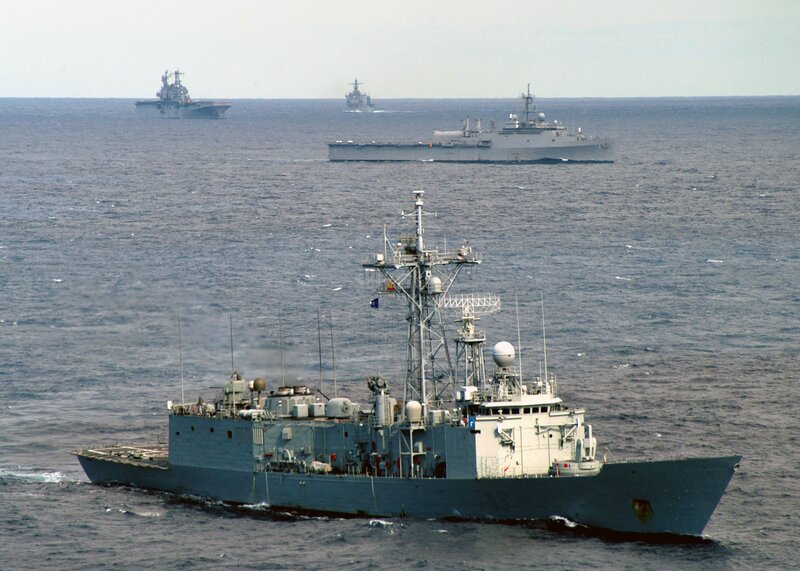 1891k US Navy and Spanish Navy ships maneuver through the waters of the Atlantic Ocean, 25 September 2004, while participating in the North Atlantic Treaty Organization (NATO) Exercise Standing Naval Force Atlantic (SNFL). 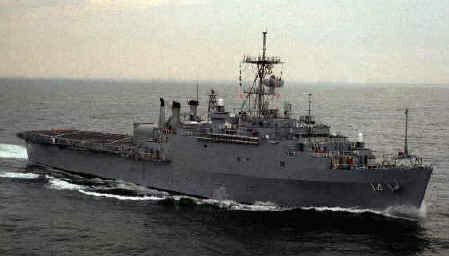 The Standing Naval Force is a squadron of eight to ten destroyers and frigates from different nations in the NATO organization. 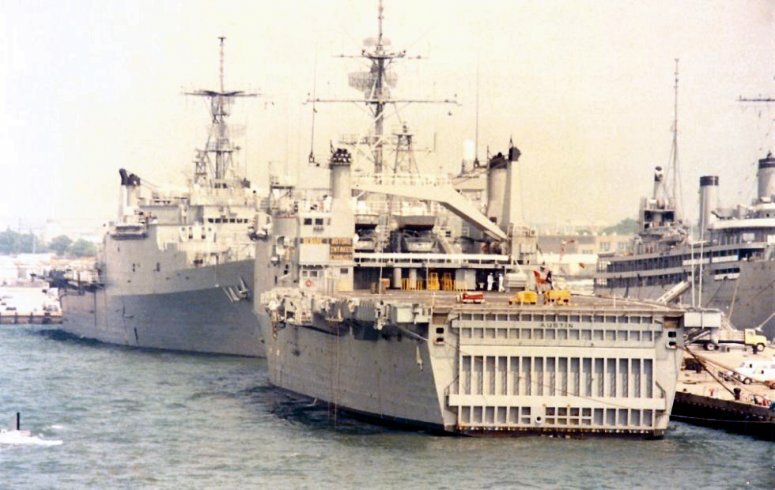 Pictured foreground-to-background: The Spanish Navy Santa Maria Class Frigate, Navarra (F-85); USS Trenton (LPD-14); the Tarawa Class Amphibious Assault Ship, USS Saipan (LHA-2), and the Oliver Hazard Perry Class Frigate, USS Simpson (FFG-56). 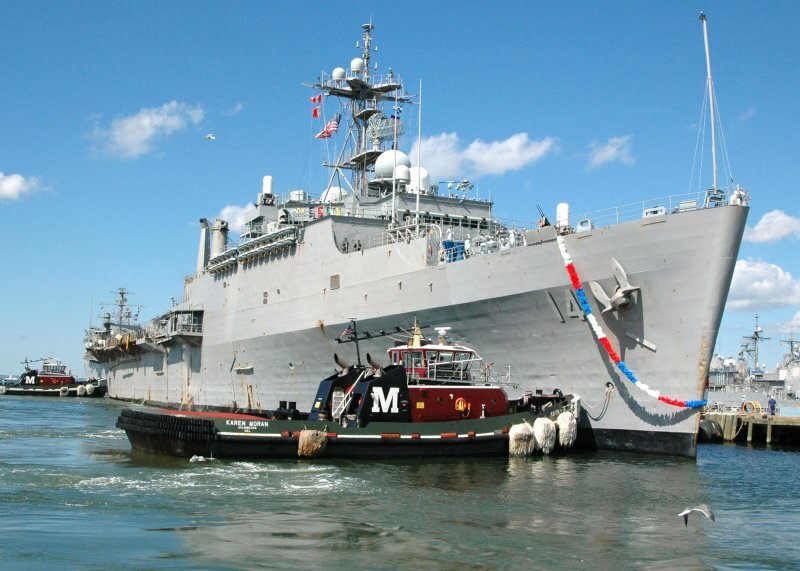 93k USS Trenton (LPD-14) prepares to moor at Naval Station Norfolk after a successful deployment, 21 September 2006. 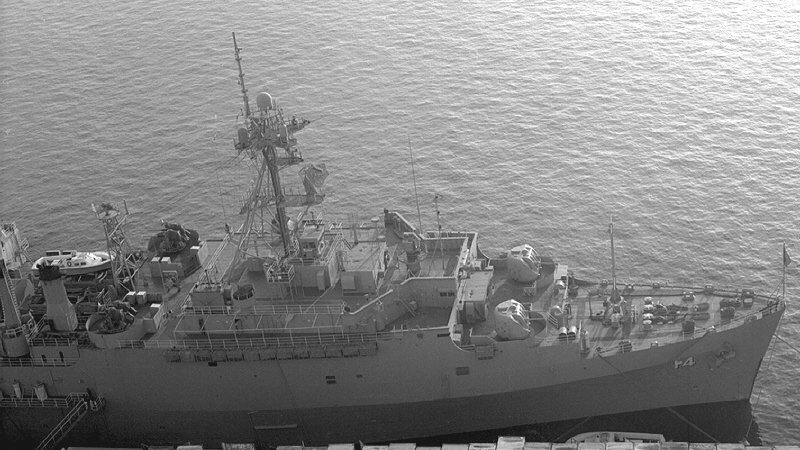 Trenton responded to Joint Task Force Lebanon while deployed, assisting over 3500 American citizens evacuate the war torn country. 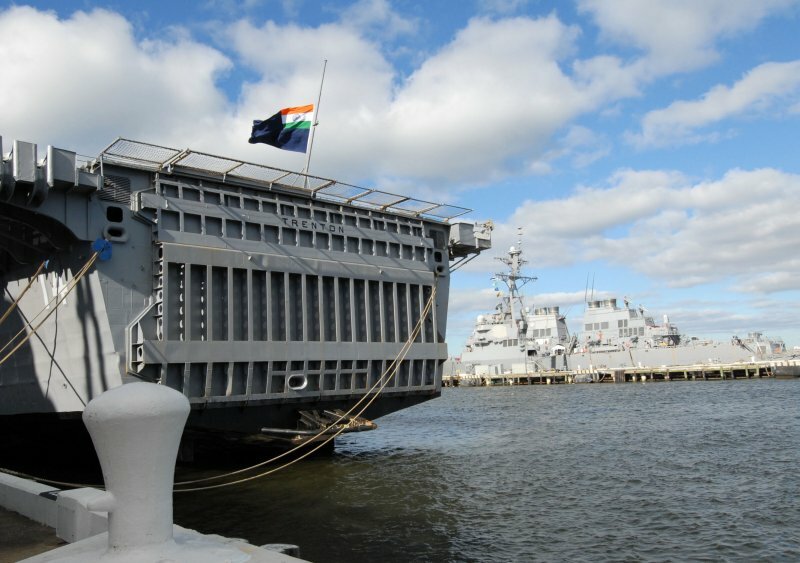 This is the last deployment for Trenton, after 35 years of active service, before she is decommissioned and transferred to the Indian Navy in January. 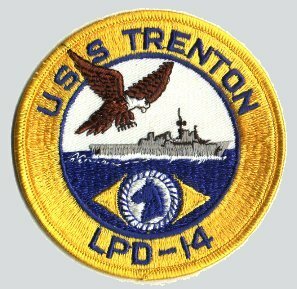 115k Indian sailors raise their national flag aboard ex-USS Trenton (LPD 14), which was decommissioned after 35 years of naval service. 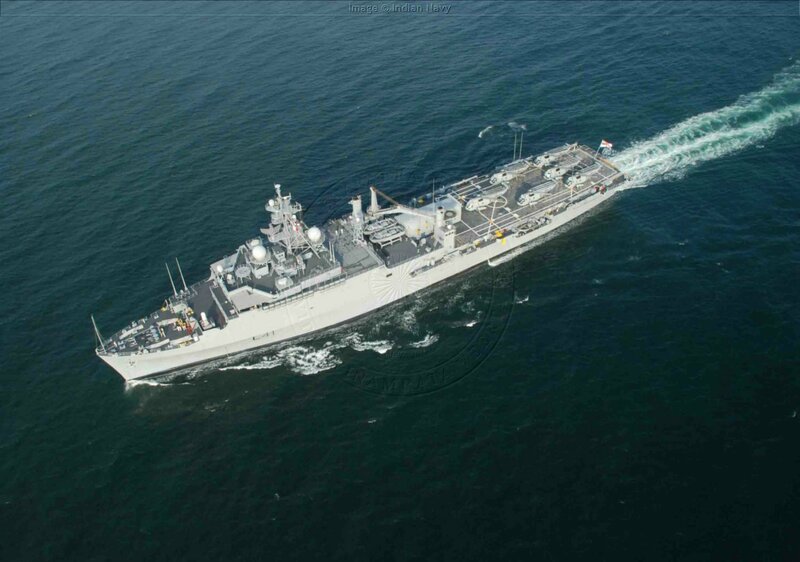 The Indian navy assumed immediate ownership of Trenton renaming her INS Jalashwa (L41). 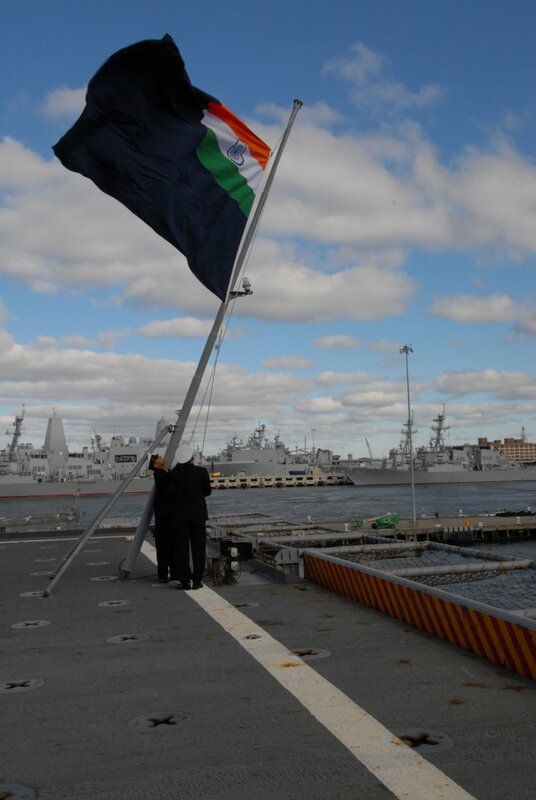 88k India's national flag flies from the fantail of the recently decommissioned USS Trenton (LPD 14). 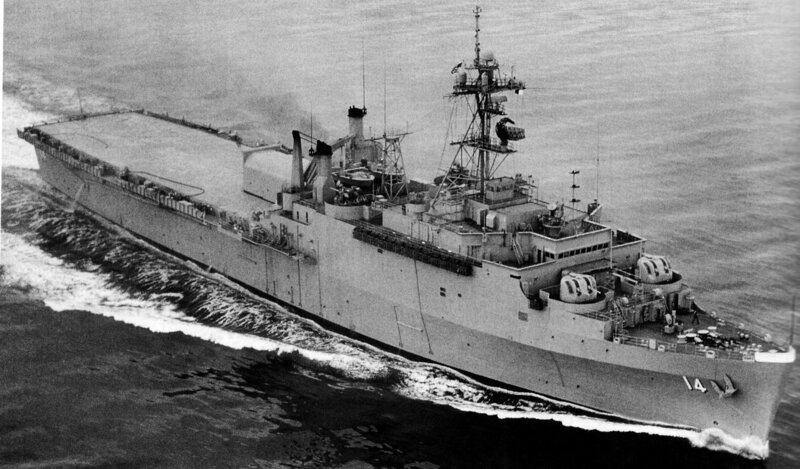 Trenton was decommissioned after 35 years of naval service. 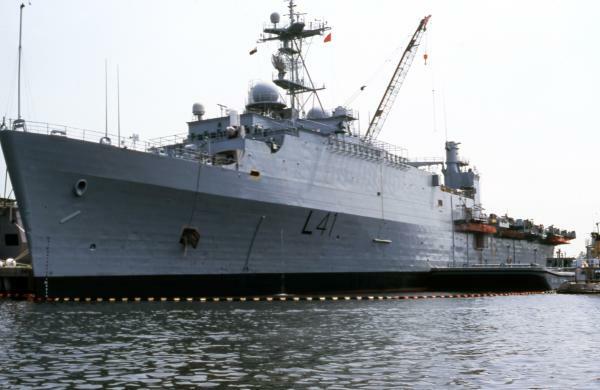 The Indian navy assumed immediate ownership of Trenton and renamed her INS Jalashwa (L41). 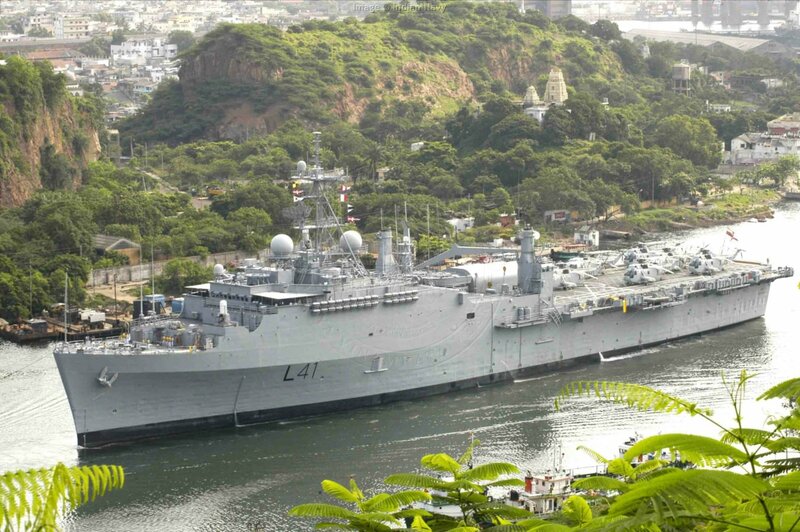 201k INS Jalashwa (L41) with six SH-3 Sea King ASW helicopters on deck, heading for her homeport of Visakhapatnam. 342k INS Jalashwa (L41) entering Visakhapatnam harbor, 12 September 2007. 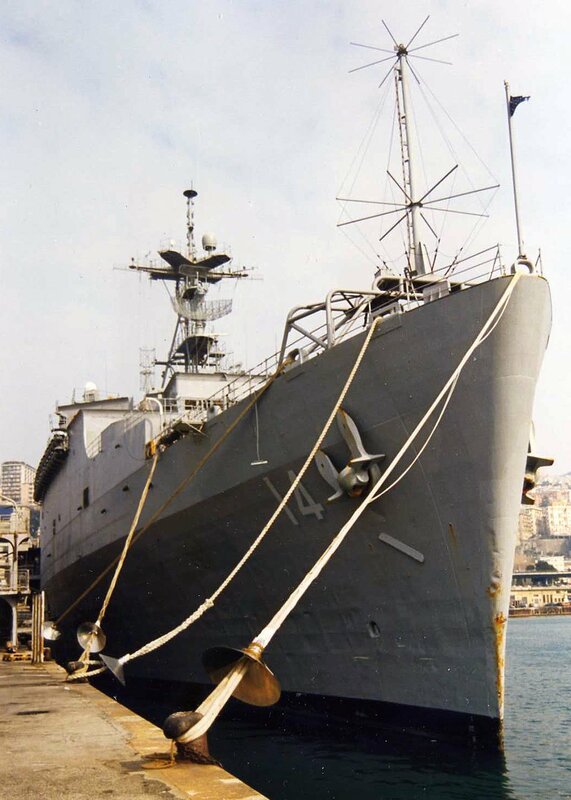 33k INS Jalashwa (L41) moored pierside, date and location unknown. 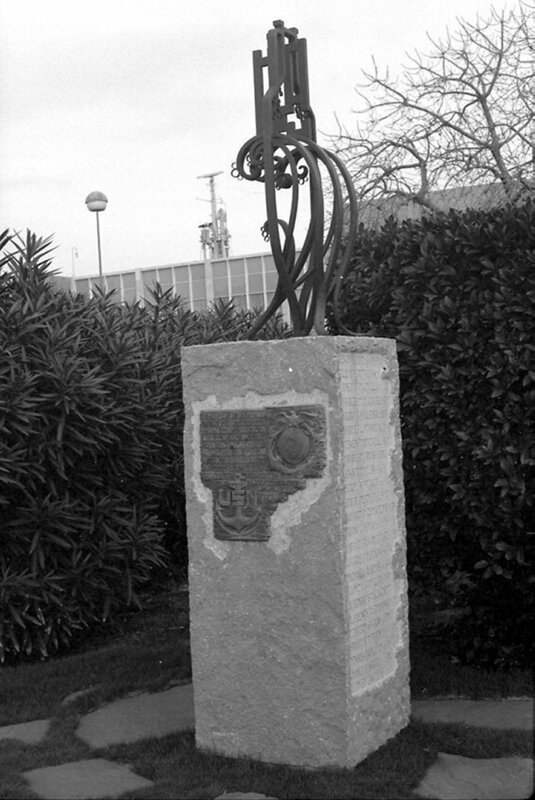 Photo from the Matterson Marine Collection. 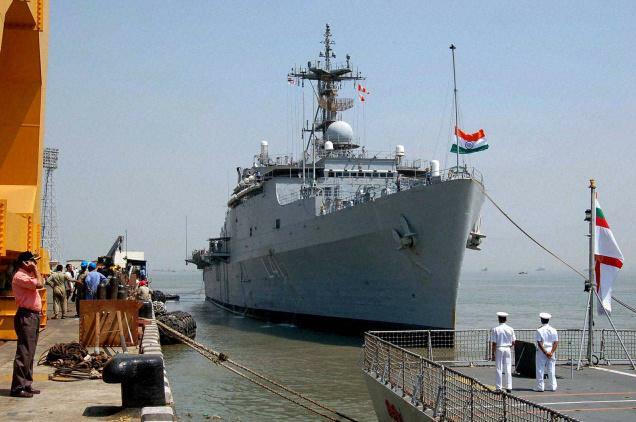 John Huard Sr.
44k INS Jalashwa (L41) departs Mumbai enroute to Libya for the evacuation of Indian citizens stranded in the country, 26 February 2014.